Driving up to the pumps, I have a distinct experience of entering “No Man’s Land.” Gas is up over three bucks in Oregon and shows no sign of ever coming down. It strikes me that this feels like an affront, a virtual assault —that the price of gas is actually attacking my ever-diminishing financial reserves, and laying waste that green stuff which constitutes my nest egg. A confluence of forces are amassing at this point in time, which are keeping folks home much more than in past years. One is the price of gas. Another is the plunge of the dollar, world-wide. My intended trip to Jerusalem and points beyond will be deferred to a later date, for this reason alone. Other economic realities buttress the decision to stick around home plate. Job insecurity coupled with the spectre of possible home foreclosure amp up the sense of financial anxiety. The net effect of these conditions is that Americans are more home-bound. Like so many other Americans, I look anxiously to the political horizon to see a sign of change but see only a changing of the guard as our collective economic future marches towards a dark terminus. At the same time that the economic realities are keeping us close to home, the government is amassing campaigns, in cities across the country, to get us back on tap water and off bottled water. The proponents of tap cite a number of reasons that they prefer tap to bottled–drinking bottled water contributes to the emission of greenhouse gases (because the water has to be transported ); the increasing amount of plastic bottles in landfills; the sapping of aquifers by bottled; and that selling water guts efforts to make safe drinking water a basic human right. There is increasing concern that chemicals leaching from plastic bottles into the contained water may, in fact, be carcinogenic. Numerous reports recently peppered the main stream press alluding to high bacteria levels in bottled water and a low fluoride level in bottled water. Apparently, some people still believe that fluoride is good for you. The American’s Bulletin published an expose back in 2007, citing a cover-up involving a double line water system and the planned use of water as a weapon, authorized under Section 817 of the U.S. Patriot Act. Section 817, The Expansion of the Biological Weapons Statute, is authorizing the use of toxins (poisons) and delivery systems (which is weapons terminology) apparently against citizens of the United States of America. It is the contention of this reporter that 817 is an “umbrella” statute, authorizing a number of poison projects, including, but not limited to, the water weapon. One of the diabolical aspects of this particular city water project is its ability to selectively hone in on its targets. We live in a melting pot, with city council members living next door to rabbis who are living next door to drug dealers who are living next door to political activists. In order for there to be a “clean sweep” and the intended populations removed from the planet, there would need to be a “surgical,” incisive attack on the target populations, leaving the non-targets unscathed. The water weapon, with its system of double lines and remote controlled valves, provides the necessary selectivity to accomplish the aims of those dead-set on removing certain elements. Permanently. And in order for the deployment of this weapon to gain maximum effect, the intended victims should be at home, not gallivanting in France or jet setting across country. Further information has come to light which substantiates concern that something funky is going on with our water. A couple of years back, a public records request in Medford, Oregon produced a flurry of refusals to turn over information concerning water to this reporter. In a meeting with Medford Water Commission engineer Eric Johnson and public information specialist Laura Hodnett, Johnson refused to turn over the site and utility plans and blueprints for the Lithia Commons, a business development in downtown Medford. Lithia had planned to build their corporate headquarters in downtown Medford, and had done the underground water line work to service this project. Johnson suggested instead that this reporter contact the Lithia Corporation, via Eric Iversen, project manager for Lithia Commons. Iverson also refused to turn over the records, stating that Lithia, as a private corporation, is not subject to the Oregon Public Records Act. When this reporter, through an extreme effort, did retrieve a portion of the site and utility plans for this project, Iversen sent over one terse message—that he would not communicate any further with this reporter. He referred all questions to Robert Sacks, Lithia’s public information specialist. A nervous Mr. Sacks did get back to this reporter. After quizzing this reporter on her credentials, her newspaper experience, on the type of paper she writes for and why there would be any national interest in the downtown Lithia project, he agreed to answer questions on the plans. He then abruptly reversed himself and refused to honor his agreement. On July 15, 2008 this reporter met with staff engineer Rodney Grehn and Laura Hodnett, public information officer, both of the Medford Water commission. When I walked out of the meeting, an hour and a half later, I had secured the information I needed to conclusively prove that the city of Medford, through the Medford Water commission, was both supplying altered records to the general public and then denying that these records were redacted or altered. The meeting focused on the site and utility plans for the downtown Lithia project, detailing the pre-existing water lines in the area between 3rd and sixth streets and between Apple and Bartlett. Under an unfortunately bogus “open and transparent government” policy, the MWC maintains a computer in the front lobby, where a member of the public can copy, free of charge, plats which show where the existing water lines are. Or some of them, anyway. The only problem is that the plats do not have complete information, and fail to feature the second line on a number of streets. A careful study of the site and utility plans reveals a second line on Third, Fourth and Sixth Streets, running roughly North-South, and Riverside and Bartlett running East –West. Bartlett Street actually showed three water lines, either in the planning or existing phase. The only other East-West running street depicted in these plans is Apple, which contained ambiguous lines. It was not possible to definitively determine if those lines were water or another utility. In total, seven streets were featured in this plan. One street alone—Fifth Street– did not ostensibly feature the double line system. 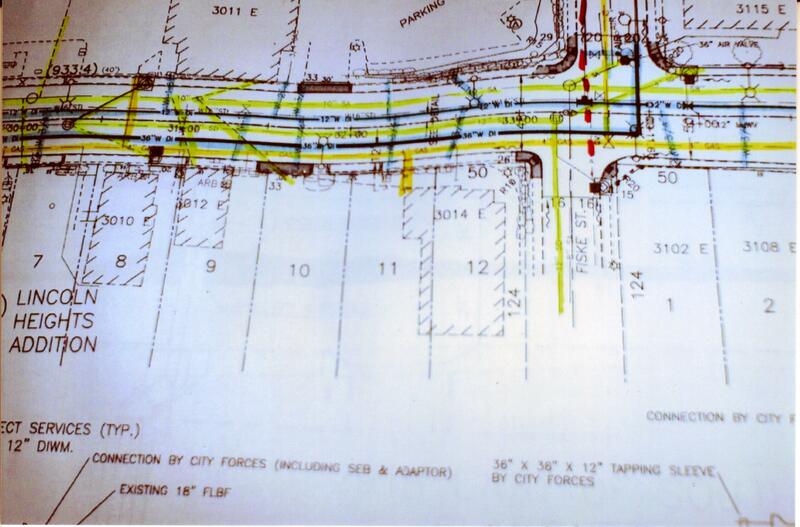 The only water conduit apparently in the drawing for Fifth Street was a proposed water line. I think I’d want to live there…. Fast forward to the plat, provided by the MW. The only street on the plat to show the double line system is, in fact, Bartlett. What does this mean? Why in the world would the city of Medford go to the trouble to pretend to provide information to the public, only to hide evidence of multiple lines under the streets? I asked Rodney Grehn a direct question at the close of the meeting on July 15. He had already gone over the plans with me, and I had determined which undelineated lines were actually water lines, with Grehn’s reluctant assistance. I asked Mr. Grehn, point-blank, if the City of Medford were “redacting” the information offered to the public on the lobby computer. Rodney Grehn took a deep breath. He then stepped off a virtual cliff and into utter moral decrepitude. “No,” he lied. Another meeting took place with Eric Johnson and Laura Hodnett. Even when confronted with the information contained in the unaltered plans, Johnson quixotically insisted that the two sets were equivalent. Frustrated by his responses, I asked him if his responses to my questions were governed by the fact that the Critical Infrastructure Information Act, passed in 2002, mandates prison sentences for government employees who reveal information about “critical infrastructure.” Of course, water is considered to be critical infrastructure. At that point, both Johnson and Hodnett arose and walked out of the room. The meeting was over. The city of Spokane was contacted for their input on the attached blueprints. 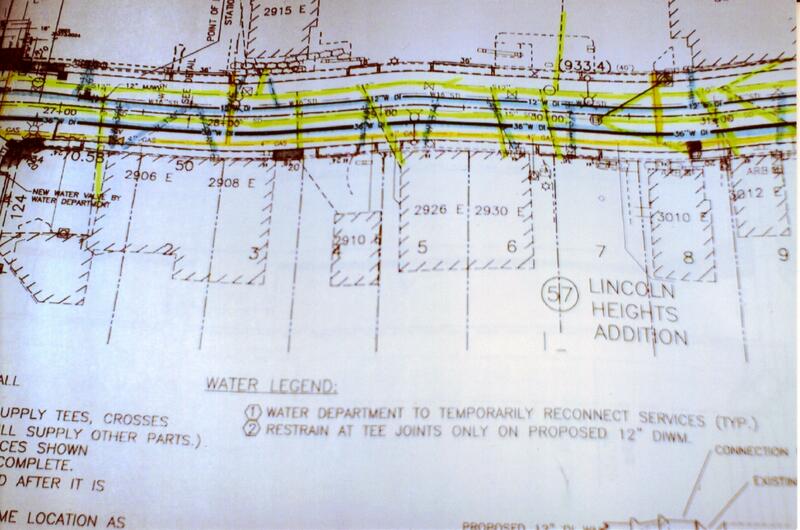 These blueprints were photographed at a work site meeting in Spokane, and show with great clarity the double water lines, which are color coded blue. Initially, I was informed by the City that the connective pipe was flexible, which would explain away the perception that the lines look as if they are cross connected. Cross connecting potable with non potable water is against the law. When informed that I had been on site and had photographed the connective pipe which was clearly NOT flexible, Marlene Feist of the City of Spokane changed her tune and told me that the two parallel water lines were not at the same depth. This would also mitigate concerns that the lines were cross connected. The only problem here is that the blueprints contained no indication that the pipes were at different depths and explicitly stated that both lines were placed 5.5 feet deep. Apparently, Marlene wanted me to believe that the blueprints lied. Other indications point to a cover up concerning water pipes. Larry Chertoff, who is one of the top water guys in the country, was interviewed by this reporter and vehemently denied that the double water line system exists. When emailed the Spokane blueprints attached to this story, he declined further comment. Larry Chertoff, by the way, is the “secret cousin” of former Department of Homeland Security chief Michael Chertoff. Larry Chertoff is currently a director of Alinda Capital Partners LLC, the largest independent infrastructure private equity fund, and has had more than 30 years experience in the public and private sector working on water projects. He was chief economist for New York City’s Environmental Protection Administration. He was also the US correspondent to Global Water Intelligence, as well as an advisor to the NYC Comptroller on watershed protection issues. He is a founding Board member of the Environmental Action Coalition, Water Industry Council and Water Institute of the National Council for Public Private partnering and a member of the National Research Council’s Water and Technology Board Committee of Privatization of Water Services in the United States. 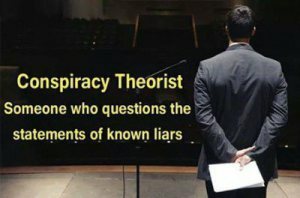 His son, Ben Chertoff, was an editor at Popular Mechanics at the time that magazine ran its infamous “Debunking 911 conspiracy theories” cover story. We call Larry a “secret” cousin, for he vigorously denies a familial relationship with DHS Michael Chertoff, although Larry’s ex-wife has copped to the fact that they are, indeed, cousins. Michael Chertoff was a co-author of the U.S. Patriot Act, which has legalized the use of poisons and delivery systems, in the infamous Section 817. Looks like we’ve got a family affair―Mike makes genocide legal and Larry does the footwork. Extending the water situation to a global perspective, it is of interest to note that American Water Works, which was up until recently a subsidiary of German blue chip utility corporation RWE, has been quietly buying up municipal water systems across country. There is water everywhere, and American Water Works wants to own it. AWW currently operates in thirty-two U.S. states, and is considered the largest investor-owned water supply company operating within the United States. AWW now supplies water to 16 million people across America. Apparently motivated by a drive towards acquisition rather than size of the acquired utility, AWW recently bought up the water utility that serves Mountain Top Estates in Middle Smithfield Township, which serves 180 people, and then turned around and acquired SJ services in New Jersey, which serves more than 7200 customers. RWE maintains a close relationship with Bayer, which was at one point in time IG Farben. IG Farben is known to have manufactured Zyclon-B, used to gas millions of people during the Nazi reign of terror. The chairman of the Board of Bayer , Dr. Manfred Schneider sits on the Board of RWE. The former Executive Vice President of Bayer, Udo Oels, also served as member of the Economic Advisory Board of RWE. RWE and Bayer are currently partnering on a research project involving carbon dioxide. AWW is not to be confused with AWWA (American Water Works Association), which sets the standards for water systems world wide, including the problematic “double-line” system. The last available public posting of the countries NOT subscribing to the AWWA standards revealed a list of nations generally considered by the Western world to comprise the “axis of evil”–Iraq, Iran, Cuba, the Sudan and Syria. This list was compiled just before the invasion of Iraq in 2002. Having decimated the infrastructure of Iraq with repeated bombings, the U.S. is dutifully rebuilding the water system in that country. AWWA has launched a campaign to get people back “on tap,” that is, away from drinking bottled water and back on the very tap water which may turn deadly, when this project is deployed. The only questions that remain, as I see it, are these: What is in the second line? And when is deployment planned? I just may be able to scrounge up enough spare change to high tail it outta here at that time.